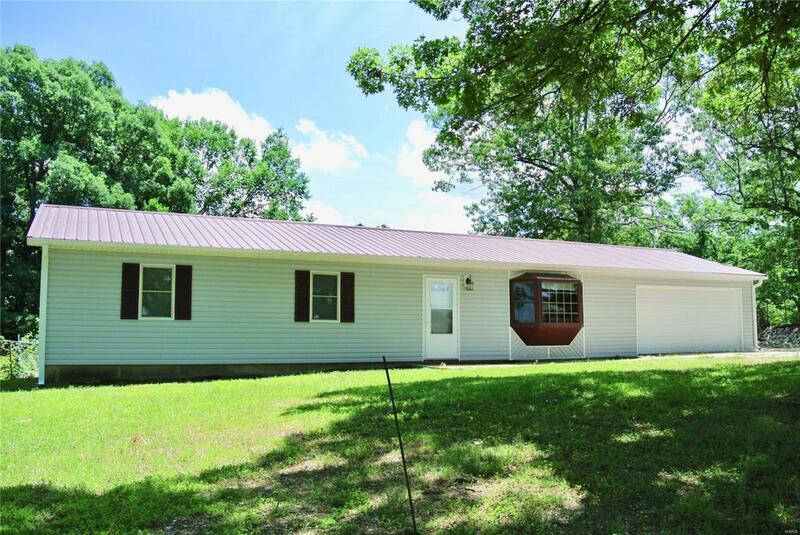 Affordable and move in ready home with lots of new updates. This great 3 bedroom home has a lot to offer starting with a brand new kitchen that includes new cabinets, counter tops, and stainless steel appliances. The living room offers plenty of space and its wide open to the kitchen and dining room too. There are beautiful refinished hard wood floors through the entire home except for the bathroom which has ceramic tiling. All the interior doors are of solid wood and they match the wood stained base board trim. All the light fixtures have been updated inside, and the two exterior doors have been replaced with new modern metal doors too. There is a large attached garage too and it has a brand new door and electric opens with remotes too. Outside the home features durable vinyl siding and a metal roof that will last for a very long time. Don't miss out on what this is great home has to offer.